The “Information Age” has revolutionized businesses of all types. It’s enabling farmers around the world to meet the needs of a growing population. But has it made grain marketing any easier? The problem lies with the fact that whatever way you are leaning in regards to making a grain marketing decision, you can easily find dozens, if not, hundreds of pieces of news/data/commentary to match your directional bias. There is too much information. It can easily overwhelm a person trying to make a decision that is already filled with uncertainty. This is why we preach a numbers-based approach to grain marketing combined bound with some seasonal/time targets. What do I mean when I say a numbers-based approach? Good question. We think you need to add meaning to a futures (or cash) price. 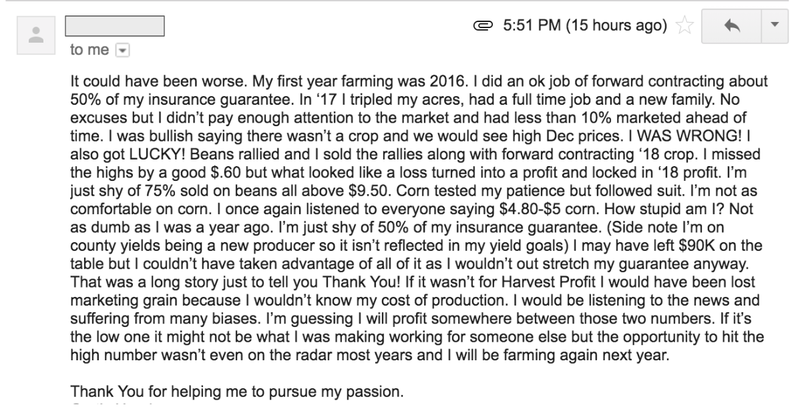 Rather than lazer-focusing on the price it self, you should be analyzing what the price does for your bottom line, your working capital, your new breakeven on your unsold bushels, etc. Check out a couple pieces of feedback we’ve received from some of our customers this summer. They are using this approach to help fight the noise and emotions that come with grain marketing. 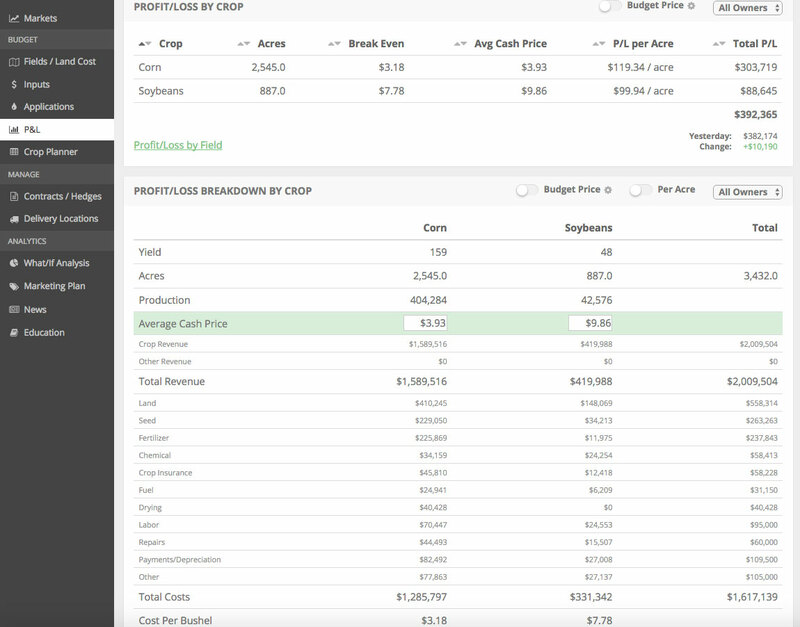 Harvest Profit helps you gain visibility into your real-time profitability and cost of production throughout the year. If you’re interested in trying out our software for yourself, do so below.